1/2 inch bevel on 5mm. clear glass. High quality beveled glass is ideal for home decoration and renovation of glass doors and window designing. The small size enables DIY enthusiastic to work out a design out of their own creativity and craftsmanship. These glass supplies can be used for craft projects and quality id never compromised. 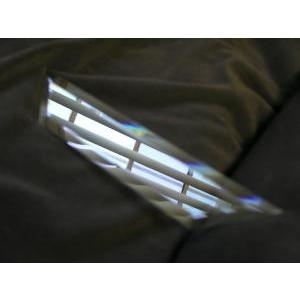 With free shipping over bulk buying, we offer the best deals for beveled glass supplies. Our prices are extremely economical with a promise of highest quality material and best value for your money.